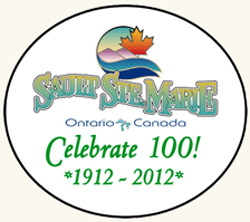 NEWS RELEASE CELEBRATE 100! ************************* Union Gas supports Celebrate 100! and the Roberta Bondar Foundation Mayor Debbie Amaroso is pleased to announce that Union Gas Ltd.
Mayor Debbie Amaroso is pleased to announce that Union Gas Ltd. will be supporting the City’s Celebrate 100! Tribute Dinner being held to honour Dr. Roberta Bondar on January 26, 2012. In October, the Mayor announced Dr. Bondar as the City’s Honorary Community Ambassador for 2012. Mayor Amaroso says “Union Gas will make a special cheque presentation in the amount of $5,000 to The Roberta Bondar Foundation at the Tribute Dinner in January. This is a further demonstration of what we in the Sault already know, Dr. Bondar’s work is valued by Canadians everywhere”. “Environmental Stewardship is a core business value for our company and a guiding principle in how we conduct business,” says Don VanDaele, Utility Services and Construction Manager with Union Gas in Sault Ste. Marie. “ We are very pleased to support the work of Dr. Roberta Bondar as she continues her mission to improve our planet through the Educational Programs of The Roberta Bondar Foundation”. Celebrate 100! Management Chair Susan Myers tells us tickets for the Tribute Dinner are now sold out. 100% of the proceeds will go to the Educational Programs of The Roberta Bondar Foundation.